Wander the food court of any local mall and you’re sure to pass someone offering you a delectable nibble from the nearest restaurant. There’s a reason why so many restaurateurs do this: Giving away samples is a tried-and-true marketing gambit to introduce a new product to a consumer faced with a multitude of choices. 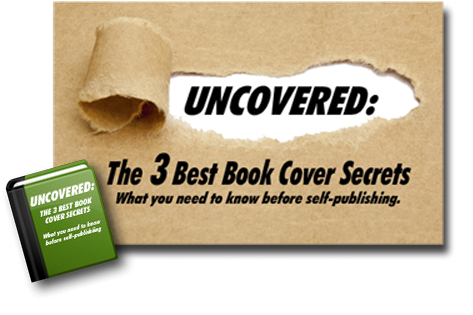 And what works for restaurants can also work for self-published authors! Serving up a tempting free sample of your novel or nonfiction can turn a book lover into a book buyer. 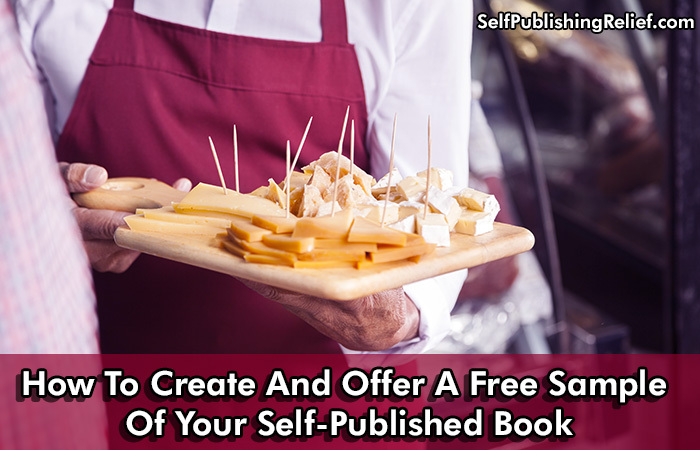 Check out these step-by-step instructions from Self-Publishing Relief on how to effectively offer a free sample of your self-published book. Start on a hook and end on a cliffhanger. For a novel, choose the opening scene or chapter. For nonfiction, select a chapter that offers insightful or valuable information, but doesn’t give everything away. Keep a free printed sample brief—no more than 8-10 pages—so that the length doesn’t daunt the reader. Make sure your free online sample reveals considerably more text than is available through most book vendors’ “Look Inside” option. Although it’s relatively easy to print multiple copies of a small printed booklet from your own home printer, the cost to distribute such a booklet and the time involved in finding outlets make this laborious and more expensive than digital options. However, a free printed sample can be an attractive giveaway at conferences, book fairs, and library events. If you’re uncomfortable formatting yourself, professional formatters will charge a small one-time fee to format your sample for you. If you plan to upload directly to vendors, many will convert your manuscript into the appropriate format directly from a Word document. Distributing a free printed sample may involve mailing it to a physical mailing list, which incurs postage costs, or leaving free printed samples in places where interested buyers may see them, such as on the “freebie” table of a writer’s conference or in your local bookstore or library. Upload your sample onto a book distribution site such as Bookfunnel. They’ll give you a specialized link that you can share with your newsletter subscribers and/or your social media fans so potential buyers can download the sample pages without you having to get involved in tech support. Upload your free online sample and create a giveaway on Instafreebie. If you’re not self-publishing exclusively to Amazon, you have the option of uploading your sample to all your vendors and setting the cost to free. Amazon will eventually price-match. To build your newsletter mailing list, offer your free online sample in exchange for a reader’s email address. You might want to make your free online sample more enticing by bundling first chapters from several of your books. Consider joining other authors in your genre to offer a bundle of free first chapters for cross-promotion. A free sample doesn’t necessarily have to be an excerpt from your novel. If you’re writing a thriller series, you can offer a “top-secret” dossier about your main character. Or, consider composing a short story about a beloved secondary character. If you’re writing nonfiction, offer a free reference guide that contains links to blogs or podcasts relevant to the subject matter. Your generosity will draw people not just to what you’re offering, but also to you. Question: How often do you access the “Look Inside” option when you’re considering buying a book online?